The debut CD of acclaimed keyboardist Luciano Basso. This is a highly appreciated instrumental effort, being cited by “The Billboard Guide to Progressive Music” as one of the best-ever examples of classically-influenced progressive rock, comparing it to the work of such renowned bands as Focus, Clearlight and even Pink Floyd. 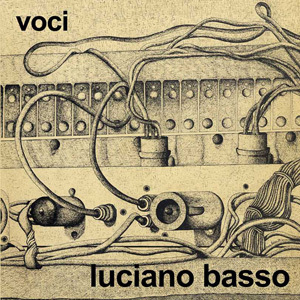 “Voci” is one of the few (and probably the best) Italian record dealing with electronics, representing an interesting mix of classical-influenced progressive music and avant-garde. The record contains five long instrumental tracks (plus one bonus track, taken from the 1975 recording session), with keyboards to the fore and backing electric instruments. Among the guest musicians on this album, the Nuvole di paglia bass player, Mauro Periotto. A must-have for lovers of Italian prog!